Onkyo has added a new soundbar to its line up with the launch of the Onkyo LS7200 Soundbar and it comes with Dolby Atmos and DTS:X audio playback and DTS Play-Fi technology. 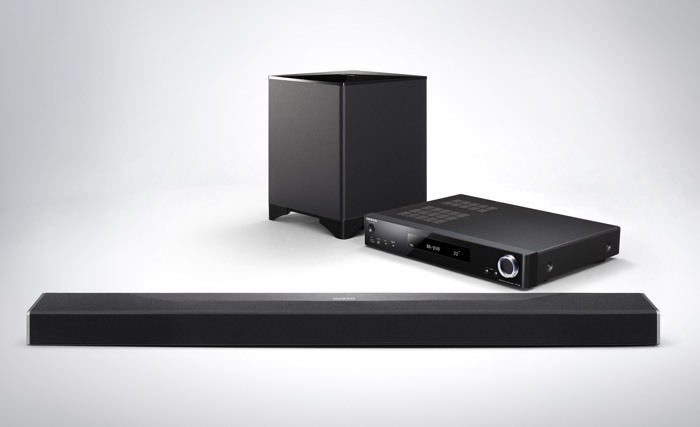 The Onkyo LS7200 Soundbar will go on sale in the UK in January of next year and it will retail for £899 including VAT. Part of the growing Envision Cinema product family, the three-piece LS7200 offers key advantages over other soundbars, starting with a low 53mm profile for an unimpeded view of the TV screen. The wall-mountable soundbar connects to a separate AV Centre via Multi-channel Audio Cable, with full-scale power delivered to precision drivers (comprising two speakers each for the left, right, and centre channels, plus single height speakers) by a discrete digital amplification system. Together with wireless subwoofer, this single-cable soundbar design results in a neat and clean installation under the TV display. You can find out more information about the new Onkyo LS7200 Soundbar over at Onkyo at the link below.